At AlphaSix, we provide our customers with the technology to make them more effective when performing the toughest jobs, in the most challenging environments, in the most unpredictable situations. AlphaSix is proud of its unique and diverse clientele ranging from Federal, State, Local, K-12 and Higher Education. Our large capabilities portfolio means that we have something to offer everyone. ATF is a unique law enforcement agency in the United State Department of Justice that protects communities from violent criminals, criminal organizations, the illegal use and trafficking of firearms, the illegal use and storage of explosives, acts of arson and bombings, acts of terrorism, and the illegal diversion of alcohol and tobacco products. We partner with communities, industries, law enforcement, and public safety agencies to safeguard the public we serve through information sharing, training, research, and use of technology. 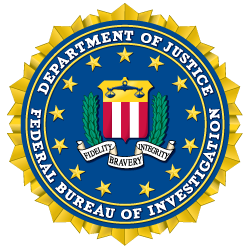 As an intelligence-driven and a threat-focused national security organization with both intelligence and law enforcement responsibilities, the mission of the FBI is to protect and defend the United States against terrorist and foreign intelligence threats, to uphold and enforce the criminal laws of the United States, and to provide leadership and criminal justice services to federal, state, municipal, and international agencies and partners. The FBI employs over 35,000 (including over 13,000 special agents) who investigate terrorism, counterintelligene, cyber crime, public corruption, civil rights, organized crime, white collar crime, and violent crime. A subdivision of the US Department of Justice, BOP is responsible for the administration of the federal prison system. The Bureau was established in 1930 to provide more progressive and humane care for federal inmates, to professionalize the prison service, and to ensure consistent and centralized administration of the 11 federal prisons in operation at the time. The Bureau now has over 116 institutions, six regional offices, headquarters in Washington, two staff training centers, and 22 community corrections offices, and is responsible for the custody and care of approximately 210,000 federal offenders. The Drug Enforcement Administration is the premier drug enforcement organization in the world and the only single-mission federal agency dedicated to drug law enforcement. Using unique operational and intelligence capabilities, the men and women of DEA identify, investigate, disrupt, and dismantle major drug trafficking organizations and those who facilitate them, remove drugs and violent criminals from our neighborhoods, and fight the diversion of licit drugs. DEA is a a subdivision of US Department of Justice, and employs over 10,000 civillians, about half of whom are Special Agents. The primary function of the Department of Veterans Affairs is to support Veterans in their time after service by providing certain benefits and supports. The benefits provided include disability compensation, pension, education, home loans, life insurance, vocational, rehabilitation, survivors’ benefits, medical benefits, and burial benefits. As an SDVOSB, AlphaSix is proud to partner with Veterans Affairs to better serve those who have sacrificed for in defending our nation. 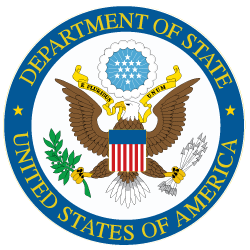 The United States Department of State is the department responsible for international relations of the United States. The Department was created in 1789 and was the first executive department established. The duties of the State Department include: protecting and assisting U.S. citizens living or traveling abroad; assisting U.S. businesses in the international marketplace; coordinating and providing support for international activities of other U.S. agencies (local, state, or federal government), official visits overseas and at home, and other diplomatic efforts; keeping the public informed about U.S. foreign policy and relations with other countries and providing feedback from the public to administration officials; and providing automobile registration for non-diplomatic staff vehicles and the vehicles of diplomats of foreign countries having diplomatic immunity in the United States. USAID is the lead U.S. Government agency that works to end extreme global poverty and enable resilient, democratic societies to realize their potential. In order to support these goals, President John. F. Kennedy created the United States Agency for International Development by executive order in 1961. U.S. foreign assistance has always had the twofold purpose of furthering America's interests while improving lives in the developing world. USAID carries out U.S. foreign policy by promoting broad-scale human progress at the same time it expands stable, free societies, creates markets and trade partners for the United States, and fosters good will abroad. The United States Navy is the naval warfare service branch of the United States. It is the largest navy in the world, in fact larger than the next 13 largest navies combined (in terms of battle fleet tonnage). The Navy has over 300,000 active duty personnel and over 100,000 in reserve. It operates 288 ships in active service and more than 3,700 aircraft. The Navy operates on hundreds of installations worldwide, covering 3.3 million acres. The Navy's primary function is to ensure "freedom of the seas" by being a "global force for good." The National Oceanic and Atmospheric Administration is a scientific agency within the United States Department of Commerce focused on the conditions of the oceans and the atmosphere. NOAA warns of dangerous weather, charts seas and skies, guides the use and protection of ocean and coastal resources, and conducts research to improve understanding and stewardship of the environment. NOAA's five fundamental activities are: monitoring and observing Earth systems with instruments and data collection networks; understanding and describing Earth systems through research and analysis of that data; assessing and predicting the changes of these systems over time; Engaging, advising, and informing the public and partner organizations with important information; and managing resources for the betterment of society, economy and environment. The National Institutes of Health (NIH), a part of the U.S. Department of Health and Human Services, is the nation’s medical research agency—making important discoveries that improve health and save lives. Thanks in large part to NIH-funded medical research, Americans today are living longer and healthier. Life expectancy in the United States has jumped from 47 years in 1900 to 78 years as reported in 2009, and disability in people over age 65 has dropped dramatically in the past 3 decades. In recent years, nationwide rates of new diagnoses and deaths from all cancers combined have fallen significantly. The Maryland Department of State Police is the official law enforcement agency of the State of Maryland. It employs about 1,500 troopers and an additional 1,000 civilians. Originally established in 1921 by the Department of Motor Vehicles, the State Police was officially incorporated into its own agency in 1935. In one year, MDSP makes 463,564 vehicle stops, issues 302,376 citations, makes 6,556 driving under the influence arrests, 4,583 adult criminal arrests, 3,762 drug arrests, investigates 32 murders, makes 268 on-view criminal arrests, served 161 warrants, identified and documented 146 gang members, executes 51 search and seizure warrants, recovers $37,000 in drug or crime-related money, 61.4 lbs. of marijuana, 165 grams of cocaine, and 2.37 lbs. of heroin. AlphaSix Corporation is a service-disabled veteran-owned small business (SDVOSB) in the Washington DC area specializing in providing a broad range of quality IT products, solutions, and services tailored to the needs of our customers. We are constantly working to raise the bar on our services. If you have any questions or require assistance, please let us know. Our support concierges are available 24/7.